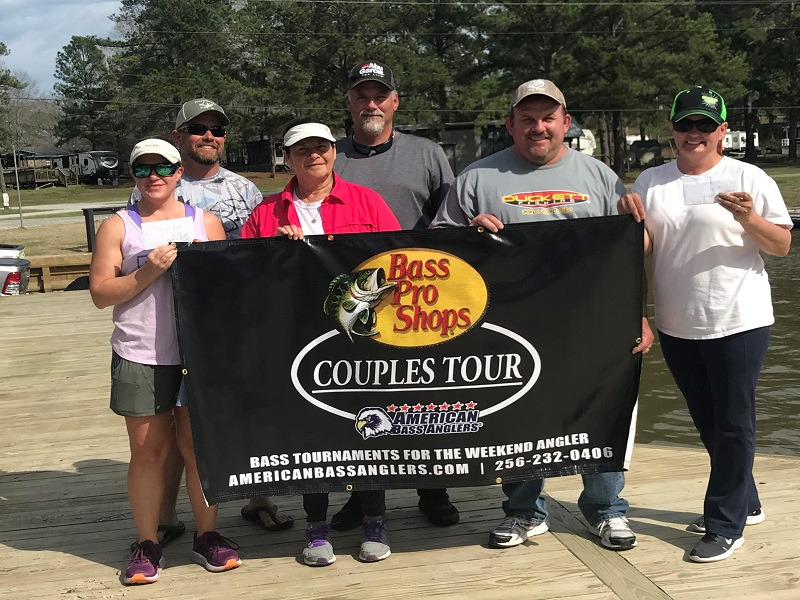 ATHENS, Ala. – Nick LeBrun won the American Bass Anglers Ram Truck Open Series Area 6 Championship, held September 23rd and 24th at Toledo Bend Reservoir. 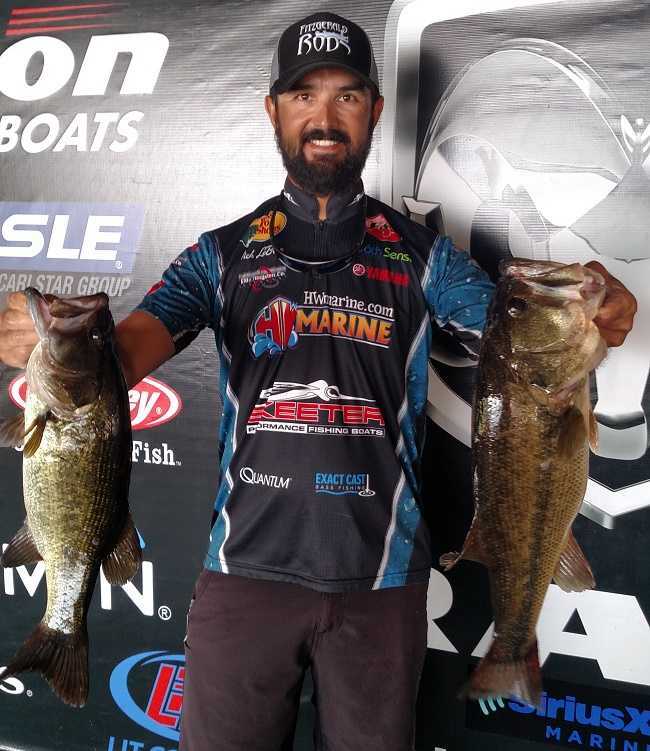 Running out of Cypress Bend Park near Many, LA, Nick still fresh off his win from Sam Rayburn just a couple weeks earlier was able to put together 2 solid days and bring in 2 limits for a total of 34.37 lbs, taking home the guaranteed boater division prize of $10,000.00. Day 1 brought a picture-perfect morning for the National Anthem and a very calm day. Not a ripple on the lake until 30 minutes before weigh in which for Toledo Bend is a very rare occasion. The weather was great all weekend, but fishing conditions made the bite very tough for most leading up to the first day and throughout the tournament. Some anglers did get the big bites as 2 fish over 8 lbs were caught, and many more over 5 lbs were brought to the scales. Day one closed out with Lebrun sitting towards the top of the field with a solid catch of 16.48 lbs. When the scales closed at the end of day 2, he had taken the lead and held back the rest of the field for the victory. “This morning I definitely wasn’t expecting this. I lost a good one right off the bat and it deflated me pretty quickly. I figured I was fishing for a top 20 at that point. This place is so tough right now you have got to make every bite count and get them in the boat. I have to take my hat off to all these guys though. This field is so competitive, it really pushes you to your limit and makes you stay on top of your game. This was a great event.” LeBrun said. In second for the boaters, Ryan Pinkston of Center, TX finished less than 1 lb. behind the leader with 2 limits of fish for 33.65 lbs. Albert Collins of Nacogdoches, TX took third for the boaters weighing a 5 fish limit each day for a 2-day total of 32.91. Albert was also the highest finishing Triton Gold member and will be receiving his bonus from Triton Boats. “I came over a week before last and spent a couple days without a bite. I just went out fishing and found a couple spots that had some so I beat them to death and was fortunate enough to catch what I did.” Stated Collins. In fourth, Logan Sheerer of Karnack, TX came in with 2 solid bags for a total of 29.79 lbs. 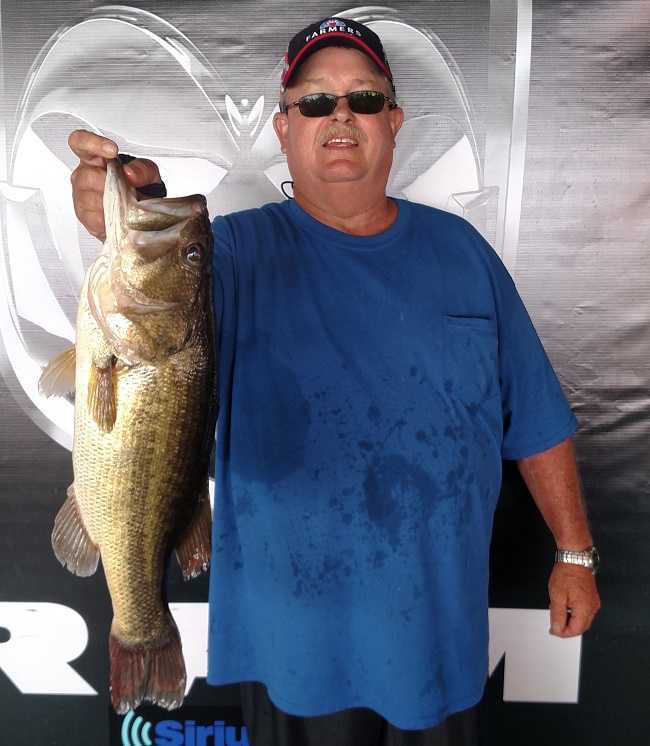 Finishing 5th was Terry Peacock of Royse City, TX with 28.72 lbs. Logan also weighed in a beautiful 8.03 lb. Big Bass on day 1 that held up for the boater division for the weekend. Logan pocketed $480.00 for that fish. In the Co-Angler Division, Robert Moffett of Silsbee, TX came from the middle of the pack on day 2 with a great bag of fish for 11.97 lbs to propel him to the top with a 2-day total of 17.74 lbs to take over and hold the lead. Robert earned the $5000.00 guaranteed first place prize. “Thank you! This is great. Well, the first day we went north and it went well, I just didn’t get the big bite but today I did. My boater ran south today and I caught her on my 2nd bite. (6.57 lbs) I culled a couple times and everything worked out great. I couldn’t be happier.” said Robert. Taking second for the co-anglers, Robert Royal of Vidor, TX came in with his 2nd 3-fish limit of 10.07 to land himself a 2-day total of 17.53 lbs. Just ounces behind the leader his catch secured him the 2nd place finish. “The first day we went south and flipped grass all day. Today we went North and threw a frog. I had 5 keepers. 2 different techniques and the only common thing was the grass. 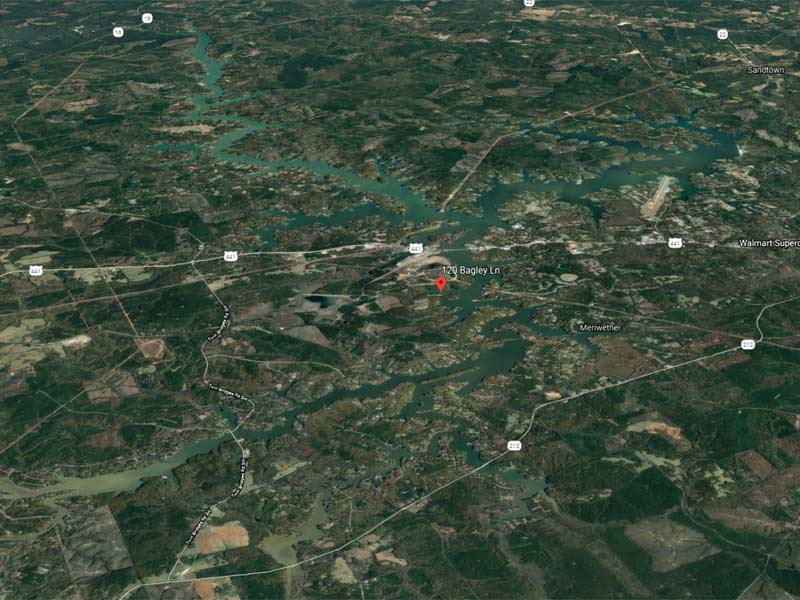 I fished in both spots and both were successful.” Robert stated. Chris Pearson of Marthaville, LA placed third among the co-anglers. Landing only 4 fish over both days for 16.56 lbs, Chris was getting the bites he needed and one fish was really good. 8.01 lbs and captured the big bass of the tournament for the coanglers. “I only had 4 keepers to bring in over the weekend and every one of them was on a different bait. I had the just one bite today at it was the big fish. I caught her on the 3rd cast this morning about 10 minutes into the day.” Explained Pearson. In fourth place among the co-anglers, Rondell Joseph of Pearland, TX brought in five fish over the 2 days for a total of 15.47 lbs. Jeremy Phillips of Nacogdoches, TX finished in fifth place with four bass (2-day total) for 12.95 lbs. The week of April 1st through the 7th, 2018, the best anglers from across the nation will compete in the Ray Scott National Championship, slated for the Red River in Shreveport & Bossier City, LA.